The world is full of different colors...hundreds of colors, everywhere. People are different colors too. Our colors make us beautiful and unique. Mommy says it is part of our culture and the big word diversity -- diversidad. 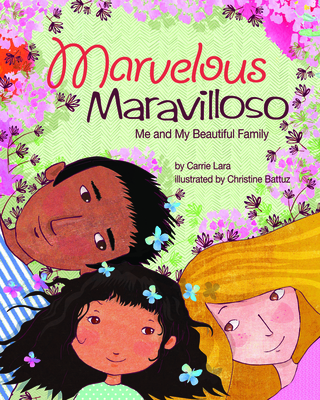 Marvelous Maravilloso follows a young girl as she finds joy in the colors of the world all around her. Her vantage point is particularly special as she comes from a bi-cultural family, and is able to appreciate the differences between her parents, as well as her own unique and beautiful color. As she is coming into her own identity and exploring what this means for her, she comes to appreciate how all families are uniquely beautiful. Includes a Note to Parents and Caregivers about celebrating the different kinds of people and families there are in the world.